And then came The Dragon’s Teeth, which ended Ellery’s Hollywood era, and simultaneously sent Ellery’s career on a totally new and interesting direction, even if only for the duration of this one novel. By 1939, the cousins, Manfred Lee and Frederic Dannay, had spent a decade writing mystery novels. Once they quit their day jobs they produced up to four novels a year, under the pseudonyms of Barnaby Ross and Ellery Queen. They published enough short stories for two collections, Adventures and New Adventures of Ellery Queen. They launched a radio game show and then adapted Ellery Queen to his own hour-long weekly radio show. Over time, their stories became less constricted, and, perhaps, better reads. 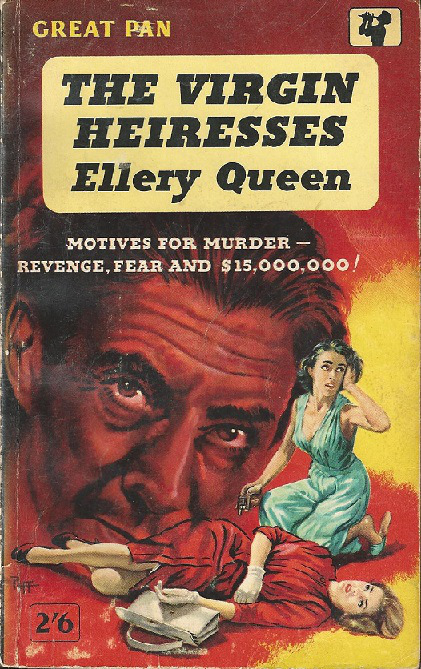 Their mysteries answered many questions, but remained cloudy: who was Ellery Queen? While Ellery remained the know-or-all aloof detective, there was not much more to his character. This perhaps made the defining of the character for movies and radio easier: with no well-defined character, Ellery could be played by anyone in any style. This also made it easier for Ellery’s character to change in ways, say, a Hercule Poirot, could not. In a way, Ellery was a blank slate which readers could project their own images onto. 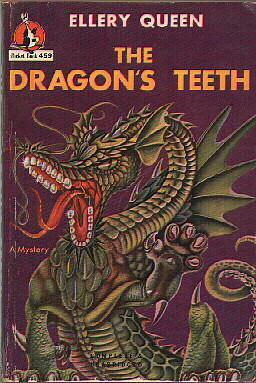 Which brings us to the last Ellery Queen novel of the 1930s, The Dragon’s Teeth. Ellery is approached by a new character, drop-out attorney with many job experiences Beau Rummel (and yes, much is made of his name), who suggests they set up a private investigation firm together. Ellery agrees, and Ellery Queen Incorporated Confidential Investigations is created. Soon rich eccentric Cadmus Cole places them on retainer without telling them why. He dies, and the heirs appear. The title take’s it’s name from the myth of Pheonician king Cadmus, who sows the teeth he has taken from a slain dragon: each tooth grows into a warrior. Cadmus throws a jewel among them, for which they fight. Anyway, Beau, presenting himself as Ellery, investigates, woos an heiress and is wooed in return by another. Beau marries one, and only later reveals he is not Ellery Queen. Ethics, it appears, has flown the coop. So, apparently, is any sign of an airtight mystery. The solutions, clues, and murder attempts are fairly lame, more like a slapstick detective B-movie. Francis Nevins says the plot has cavities. The cousins were, perhaps, burning themselves out. They would take a break, from writing prose fiction, anyway: after a decade of writing furiously, they would take three years before publishing another novel. I recently started on the first chapter and am not sure that it is worth continuing. Oh, may as well continue, at least to be able to say you did it! The book, if memory serves, does prove to be an interesting bit. I’ve collected and pored over everything EQ for nearly 45 years, and even at their worst, the cousins’ novels are almost always interesting and range from terrific social and psychological commentary to slapstick and surrealism. 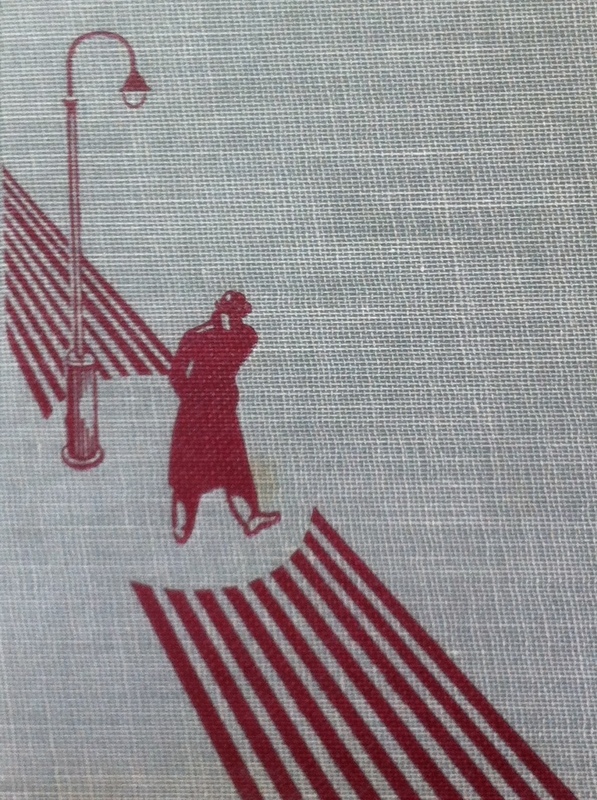 A few of Queen’s ‘40s and ‘50s novels were exceeded only Raymond Chandler’s The Long Goodbye for injecting mainstream fictional themes into mystery fiction. If you haven’t, give this one a shot, if nothing else to savor the variety EQ offered compared with the perpetually reprinted competent repetition of Erle Stanley Gardner or the technically brilliant but consistent tone and narrative of Agatha Christie. I know I sound like a 137-year-old stuffed shirt, but the shirt is a Rick and Morty tee my wife despises. Zeno, Martin, if nothing else the chapter titles are fun, as they echo then-modern novels like Robert Graves’s “Goodbye to All That.” When I first encountered this one in my own “golden summer” of 1967, I had just come off a class at school focusing on Greek mythology. To see names like Cadmus and (in “Origin of Evil”) Priam was, and is, great fun. It would have been fun to see Beau Rummel show up again sometime in the EQ stories.